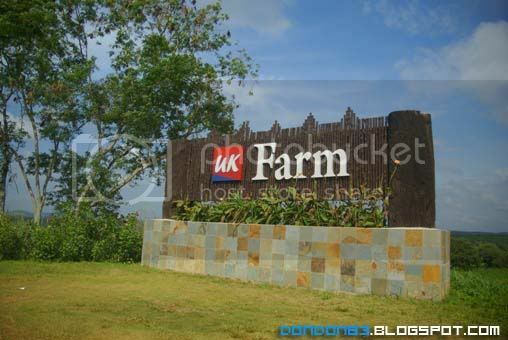 UK Argo Resort Farm, but it's not located at UK(United Kingdom), it just a farm that "UK Farm" is it name. located at Johor, Kluang. queue up or ticket purchasing.. there few different package available.. there is resort here too if you planning to spend a night or two here. here's the schedule for Bus Router. it takes 2~3 hours to complete the whole journey. 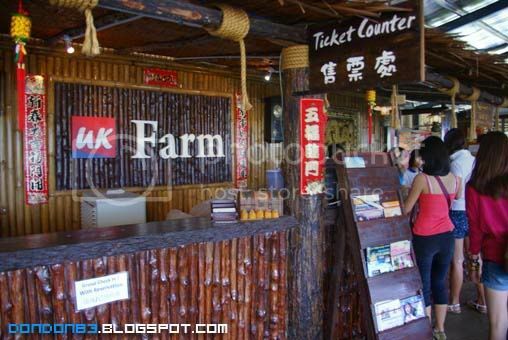 Bus Depart - Farm Factory - Goat Feeding - Hug Baby Goat - Herb Valley - Ostrich Feeding - Passion Fruit Plantation - Jakun Village - Goat kid Feeding - Mushroom Farm - Back to reception hall(by Foot). 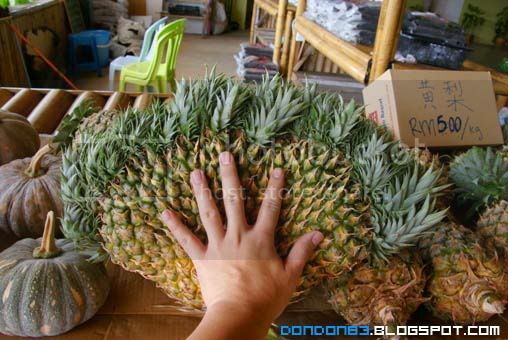 before depart, i spotted a weird-shape pine apple. and it's big too. ok.. ready to depart, here is our transportation. we ain't taking bus package. 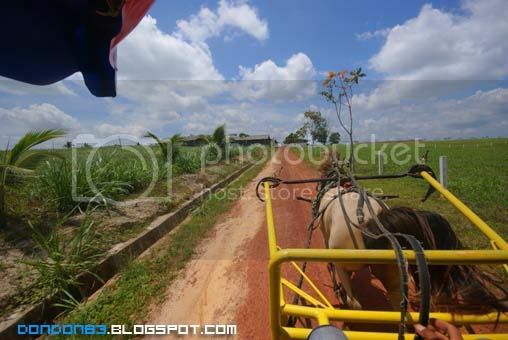 we just take a horse riding package due to number of people. the Horse Riding Journey Begins. to avoid clash with people from bus tour. we stop at Herb Village first. 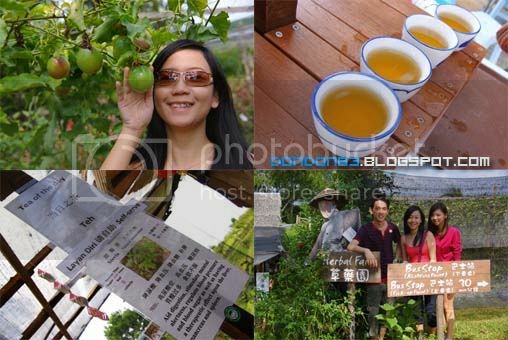 and Passion fruit Plantation happen here. oh.. they serve up their special herb tea.. which is sweet without any sugar. after that, only we move on to Goat Feeding and Goat Hugging... basically is the same place, give some hungry goat some dried grass. 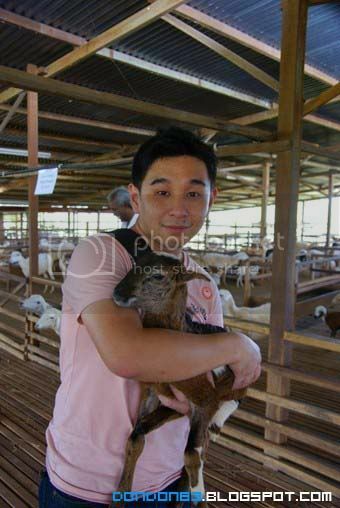 okay.. goat hugging session. guai~ don't simply jump ya. hehehehe. 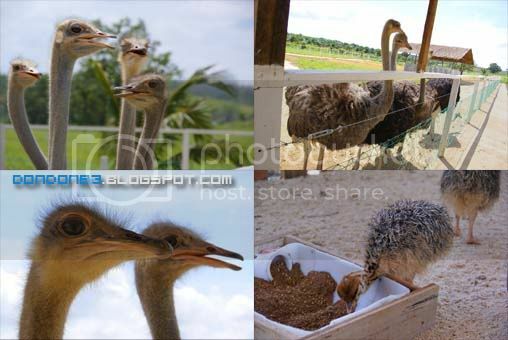 Okay.. after we done with Goat Feeding.. we move on to Ostrich Farm, time to feed some Ostrich now. a friendly ostrich, they don't seem to afraid from human, that nice, better feed them... else they will try to bite u, hahaha. it did bite my hand. not that pain anyway. 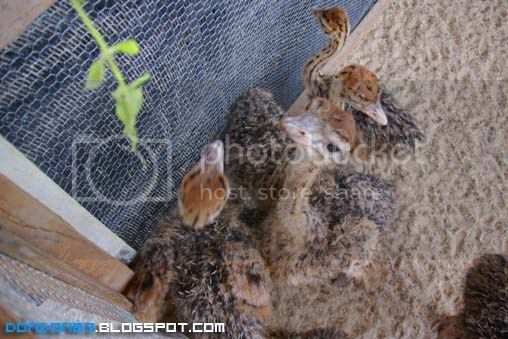 move on to another side.. there is cute little ostrich, which just hatched from egg while ago. 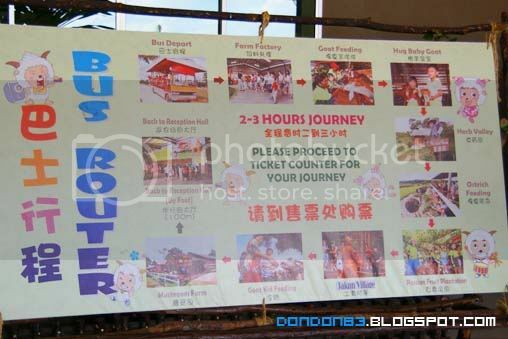 the next stop, the Jakun Village. 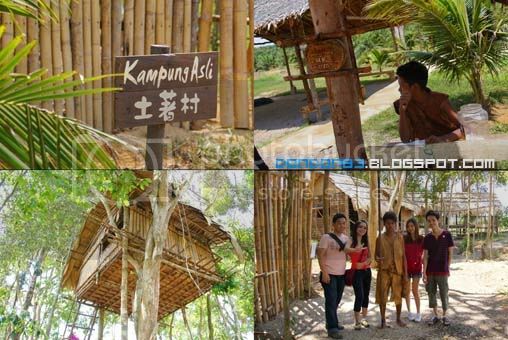 also known as Kampung Asli, their cloths are made from tree skins, and they build a house using bamboo on top of trees, which i found is kinda cool. they did show up thier weapons use for hunting and traps. 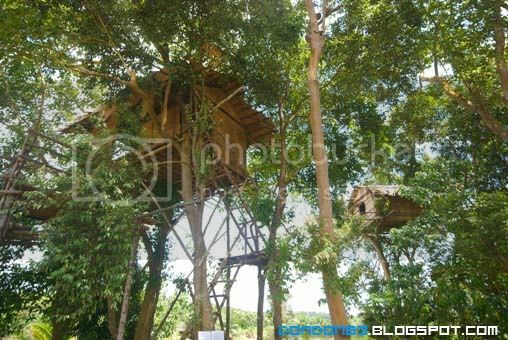 that's the tree house behind, some with walk way to go up too. 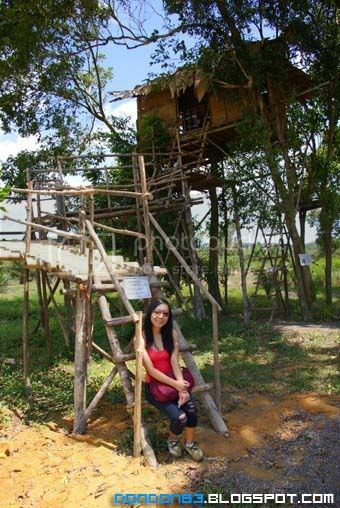 another picture of the Tree House made from Orang Asli here. the following interesting thing to do? 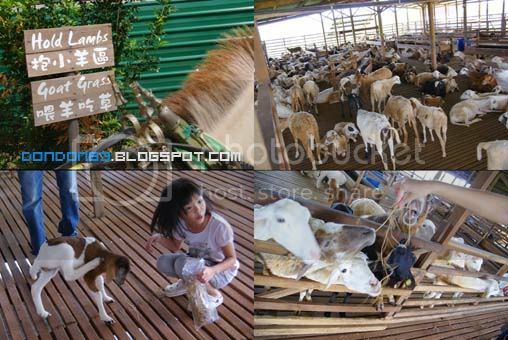 feeding baby goat, let's feem them some Goat milk.they seem hungry.. and half bottle of the milk selling for Rm3, the baby goat can finished it in minutes. hehehe. the Hungry baby goat. milk feeding time! after baby goat feeding, we now need to wait for the time to come... at around 1pm, there is some show. hmph? ok. we wait. 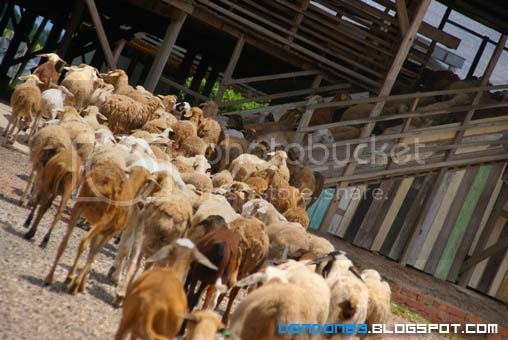 then.. they release the sheepdog to chase all the sheep/goat back to their Goat Pen. 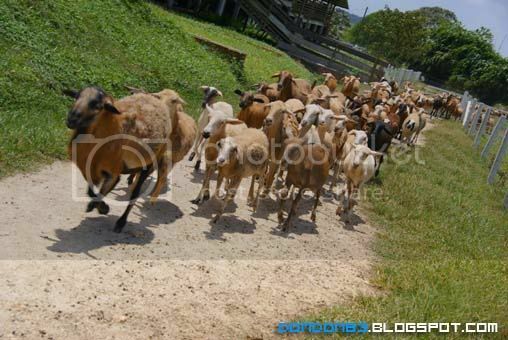 funny thing is.. these goat very discipline.. there is no sheepdog infront.. these goat just go back to their goat pen. he sheep dog still far behind.queue up to return some more. look interesting. 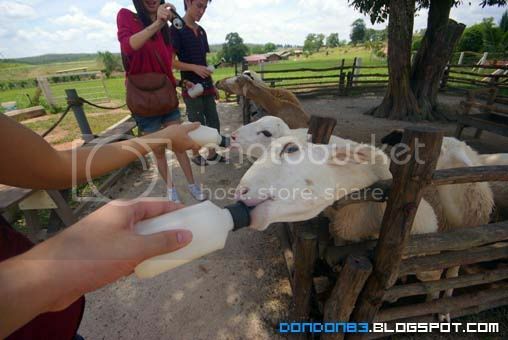 okay.. that almost conclude the whole UK Farm journey. 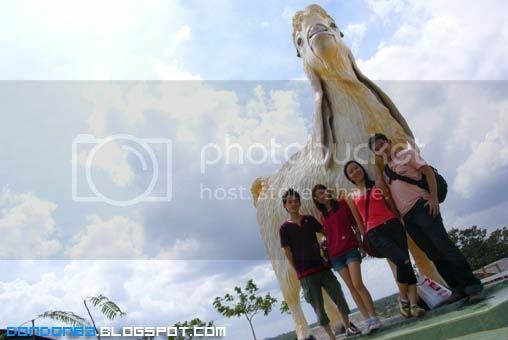 and here we are with the statue of goat. the UK farm Landmark. and the ticket had fuly stamped, proven that our journey is completed. wait... there is a empty slot. mean 1 more to go? yes. is Lunch Time!!! 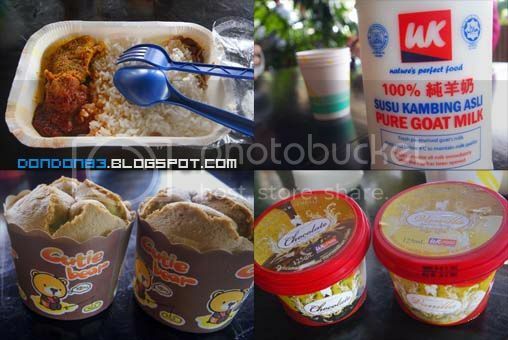 oh ya.. they include lunch for us too..
Official Webside : UK Farm Sdn. Bhd.